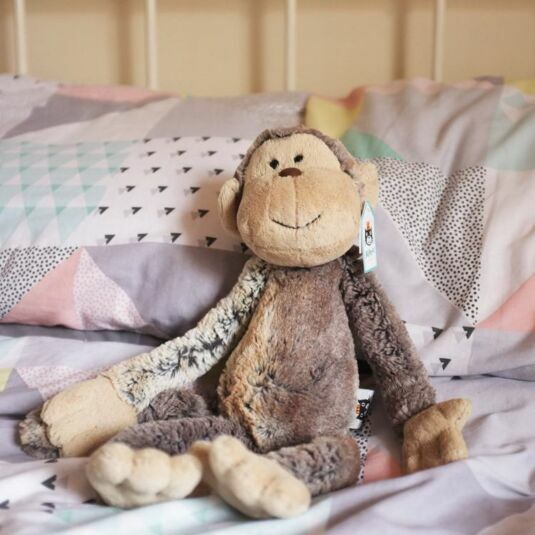 This adorable, silky soft toy from Jellycat has been named Mattie Monkey and he is looking for a new home. 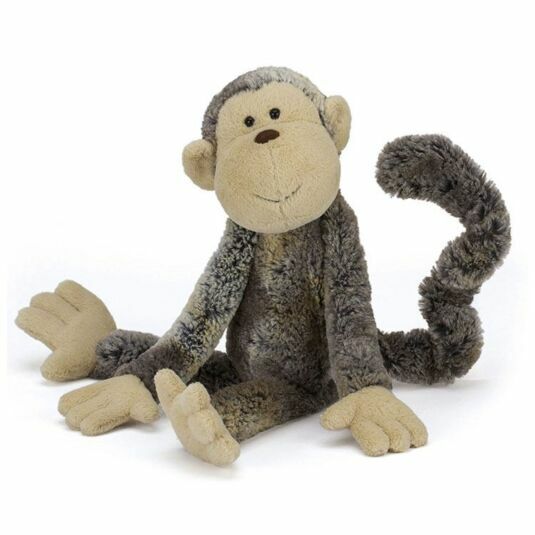 With a long springy tail, and soft feet and hands he is sure to make the perfect companion for any child to take with them wherever they go. He comes with little black eyes, and a smiling face and with a small amount of plastic pellets in the base so he sits upright, he is sure to happily sit amongst other toys, no doubt becoming a firm favourite of old and young alike. Available in two sizes, this is the smaller of the two. 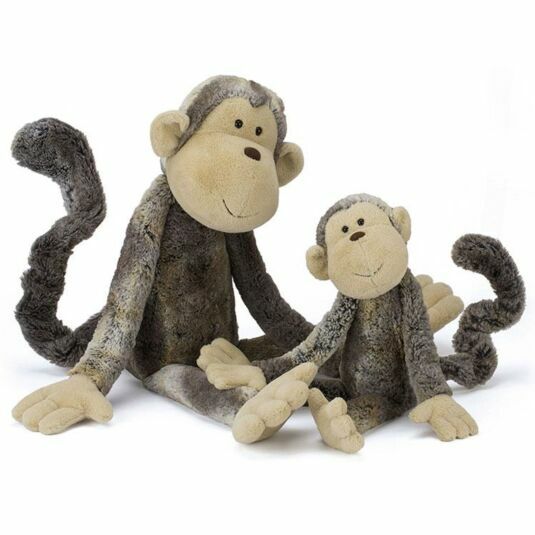 Care Instructions: Jellycat themselves give specific care instructions for all their products: Lots of love.